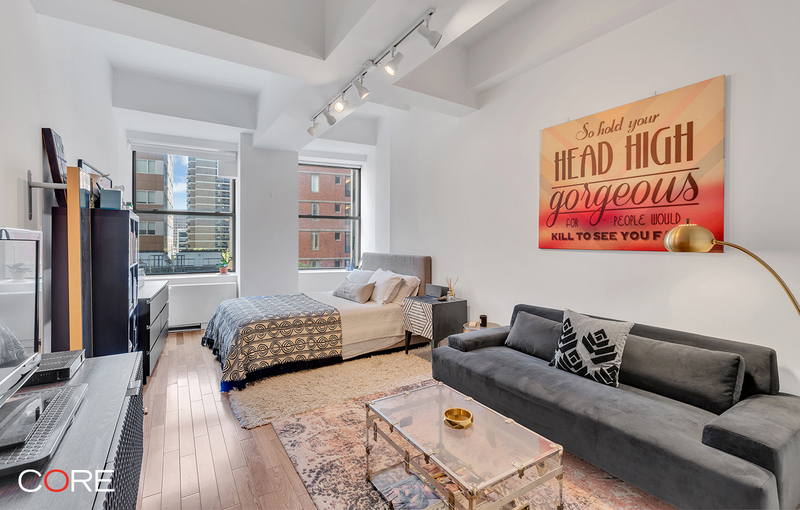 This spacious loft has 11-foot ceilings and an expansive layout. These features enable a flexible comfortable utilization of space; thus allowing a separation of the living area from the bedroom. The kitchen is adorned with stainless steel appliances including a full sized refrigerator and a dishwasher. The Caesarstone countertops complement the white lacquer cabinets that feature self-close drawers. The bathroom is finished with Calcutta marble tiled floors, countertops, and backsplash, offering a chic, clean back drop. There is ample closet space half outfitted with rods and shelving so organization is never an issue. 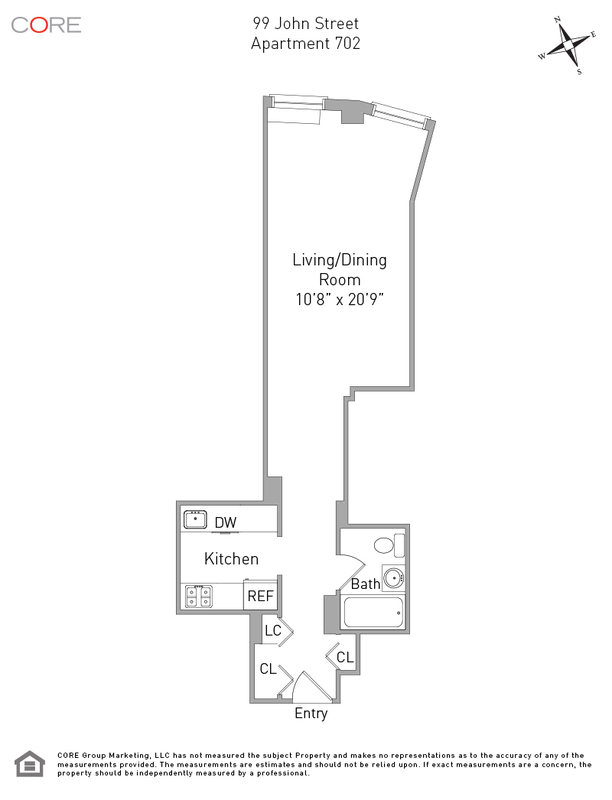 Realizing the importance of space in studio living; the layout is used to the utmost.